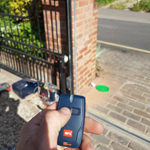 When we’re planning your automated gates, barriers or bollards with you, we consider who’ll need to get in and out of your property, so we can help create the most appropriate access control system from the start. What’s available for your gates? There’s a brief guide below. 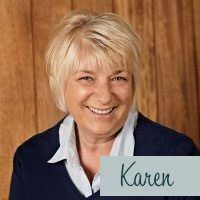 When you meet a member of our team, they’ll be happy to explain these to you further and discuss what’s suitable for your requirements. 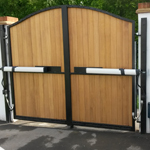 As an ideal choice for a ‘trade button’ so regular tradespeople can gain entry during set hours or for post deliveries, refuse collections in a gated community or should your house have a very long driveway. This allows trusted people to gain entry without disturbing you. This is the simplest method of entry/exit – a small hand-held fob that will open and close your automated gate at the touch of a button. Every new AutoGate Services installation comes with two radio transmitters as standard. We can install keypads for both entry and exit. 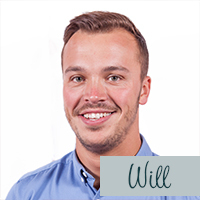 They’re particularly useful if many users need to gain access to the property. A code releases the gate(s), and this can be changed if, for example, a member of staff leaves. They’re also useful when you want to go out without taking a radio transmitter, so you can let yourself out and back in. These are increasingly popular choices for access control at many business premises. They work to open or close the gate either by being held close to it or by being inserted in a slot. For ease of use, proximity readers can also be put on a key fob. They can be set up so that when you present the card, it will register on a computer, meaning office-based personnel can monitor who is in or out of the building for fire safety or security purposes. Here’s how they work in essence: when something magnetic such as a bike, a car or a horse’s shoes pass over the loop, this signals the gate to open. We can also install a timer with loops to disable them overnight as an extra safety feature. The sensitivity can be turned up or down, which means that, for example, it can be set so it won’t register to open when a horse’s hooves go near the gate. These do require more preparation, as we have to dig a trench in the driveway and bury a cable in a look shape. However, they’re proving a popular choice as an entry or exit option that enables a gate to open for a vehicle, without requiring the driver to alert you via an intercom. Visitors or staff members simply press a button and wait for someone to let them in. The GSM wireless intercoms are extremely popular as they allow you to dial or text to open the gates from your mobile phone. We can advise you on whether these are suitable at your property. You can also select hardwire intercoms (which require a cable to be laid from the gate to your house/office and a handset installed). We can install a fireman’s switch at the gate to allow the Fire Brigade to access buildings in an emergency. It works from a specific key held by a nominated key holder, while the fire service will have their own key on board a fire engine too. Alternatively, should you be unfortunate enough to have a fire and the gates are closed, the Fire Brigade would have no alternative but to force the gates open to gain access. We fit photocells (infra-red beams that, when broken, prevent the gates from operating) as a standard safety feature. 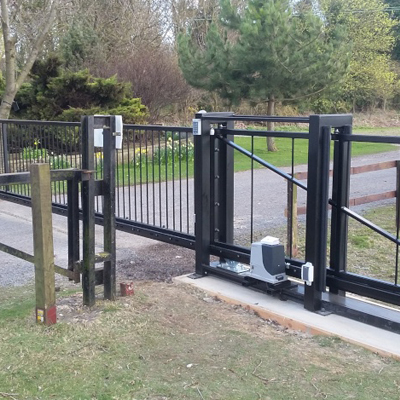 For extra reassurance, we fit two sets – one to stop the gates closing if anything is between them, plus a secondary set to pick up any vehicles queuing to use them. We install either BFT or NICE automation equipment depending on the specific requirements of each site. These parts have never let us down and continue to provide years of reliable service for our many happy customers. What about controlling entry if you have staff or commercial tenants? One solution you might want to consider is the GSM wireless intercom. This uses a SIM card (much the same as a mobile phone) and enables you to control access to your farm or commercial unit using your mobile phone. Staff/tenants can text the gate to open, eliminating the need for multiple radio transmitters. It means you can oversee access to your property even when you’re not there! Can my existing gate be automated? How do I best secure my farm? © 2019 AutoGate Services. All Rights Reserved.